6383 Little Cub Creek Road, Evergreen. Listed for sale by LIV Sotheby’s International Realty brokers, Heather Graham and Sean Endsley, for $2,200,000. 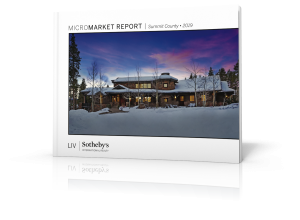 LIV Sotheby’s International Realty real estate brokers, Heather Graham and Sean Endsley, recently listed a newly-constructed, Mountain Modern home in Evergreen’s gated community of Cub Creek Ranch at 6383 Little Cub Creek Road. This extraordinary retreat backs to open space, nestled on 3.72 acres of natural surroundings and located just minutes from town. Priced at $2.2 million, the elegantly designed home provides a serene, private mountain setting. 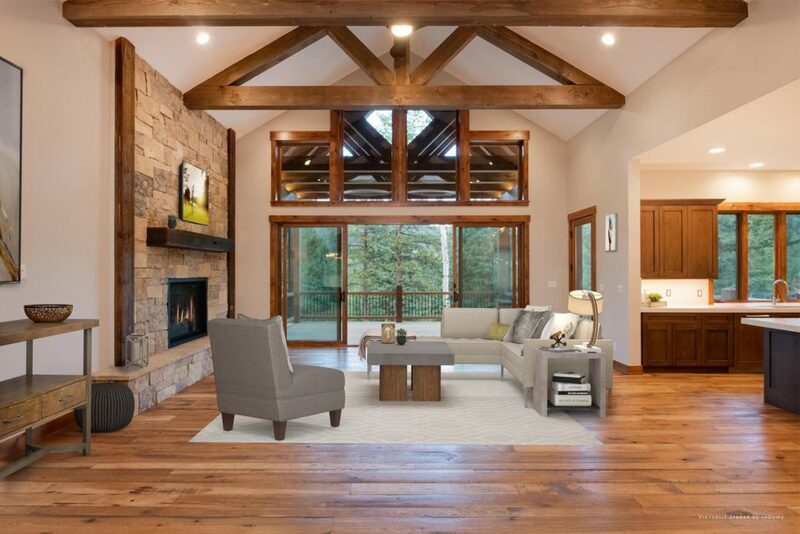 The builder of 6383 Little Cub Creek Road, David A. Graham, is also the developer and master-mind behind the entire Cub Creek Ranch community. He is well-known in Evergreen, and the surrounding areas, for his significant work and tenure. Throughout this home, David A. Graham meticulously thought through every detail, down to the water storage tank in the basement. The interior of this five-bedroom, six-bathroom home is inspired from the exterior earthy colors. 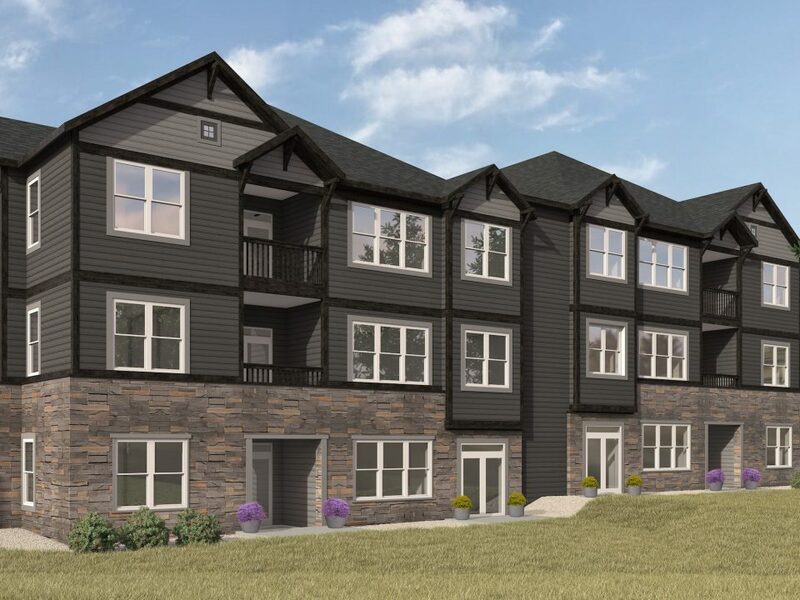 Luxury finishes fill the home including rich, hand-scrapped hickory hardwood floors, Alder wood trim and doors, oatmeal-tinged stones, and dark-stained cherry cabinetry. Brushed nickel hardware and bronze door knobs add an almost jewel-like element, necessary among these rich materials. 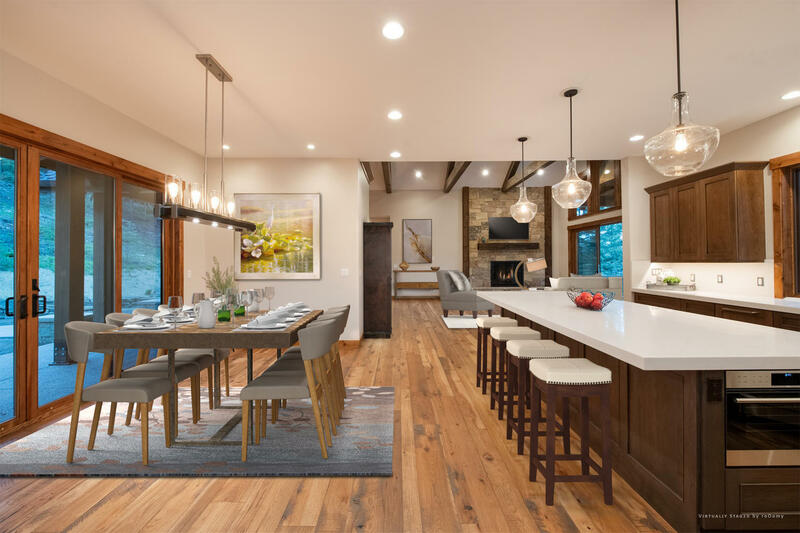 The home was designed for both intimate settings and large gatherings with an open floor plan that connects the beautifully crafted indoor and outdoor spaces. Walking through the front doors, soft hues sparked by the views of the lush outdoors provide a soothing environment. The tactfully designed great room includes a natural stone fireplace and exquisite timber accents. 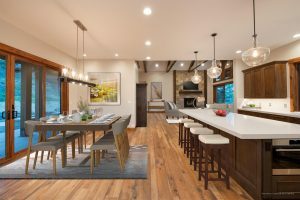 Continuing through the main floor, a designer gourmet kitchen is centered around a vast island which creates the ideal space for family and friends to gather. Top-of-the-line appliances are integrated throughout the kitchen including a Wolf 6-burner with griddle range and double oven, Sub-Zero refrigerator, dual Bosch dishwashers, steam oven and microwave. For a more formal setting, a dining room adjoins the kitchen, complete with a full size, temperature-controlled wine fridge. Step into the serene main-level master bedroom, which features one of the home’s three fireplaces, large windows, and vaulted ceilings. A luxurious master bathroom awaits, providing a spa-like retreat with marble tile throughout, a custom-made steam shower, and a luxurious freestanding tub. Off the three-car garage, a custom-designed mudroom grants exceptional storage and function, while also offering an attractive and welcoming space. A main-level laundry provides ease with ample storage and natural light. Cozy charm continues throughout the lower level of the home. 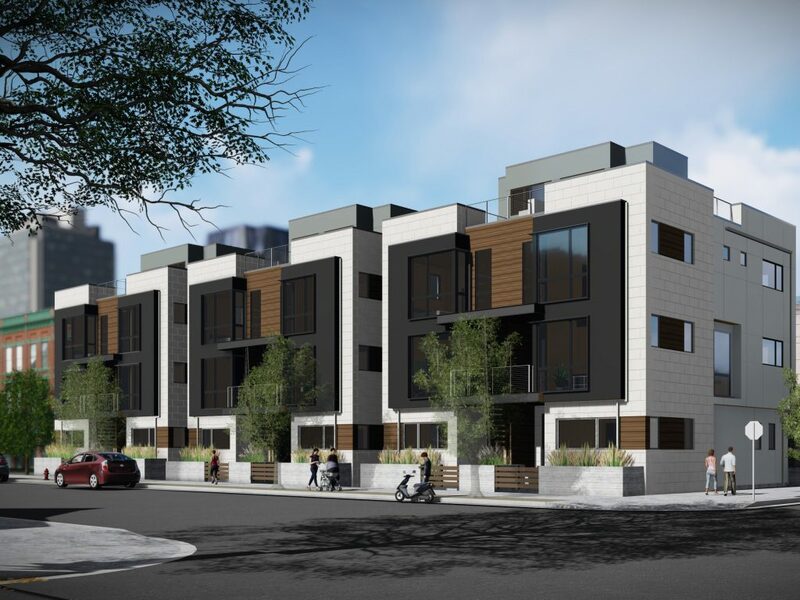 “In the open walk-out lower level, the same meticulous attention to detail in both design and appointments can be found. The 10-foot ceilings create an inviting and relaxing ambience with custom finishes and details accentuating every room,” said Heather Graham. 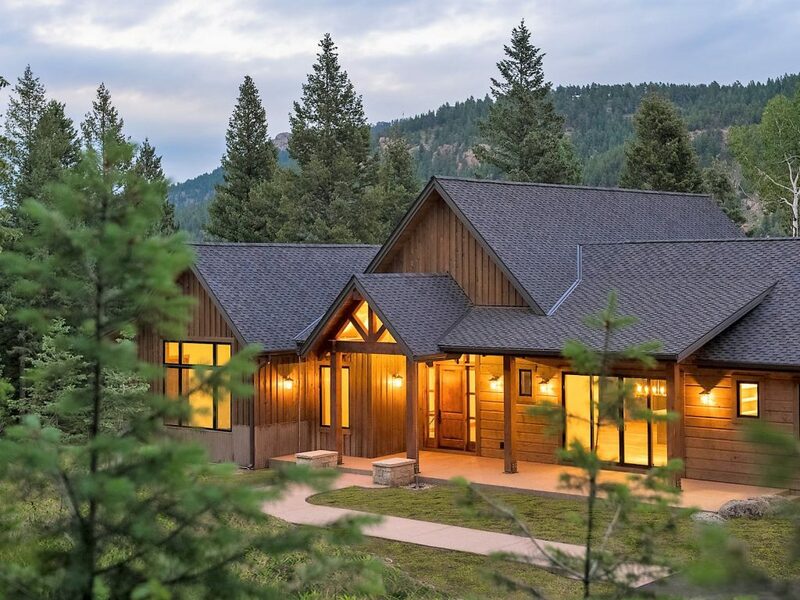 In addition to the extraordinary beauty of this timeless home, a complete Colorado lifestyle is just outside the doors with bike paths, mountain views, and the privacy of a mountain retreat. For more information about 6383 Little Cub Creek Road, contact Heather Graham at 720.201.4187 or Sean Endsley at 303.895.4663. 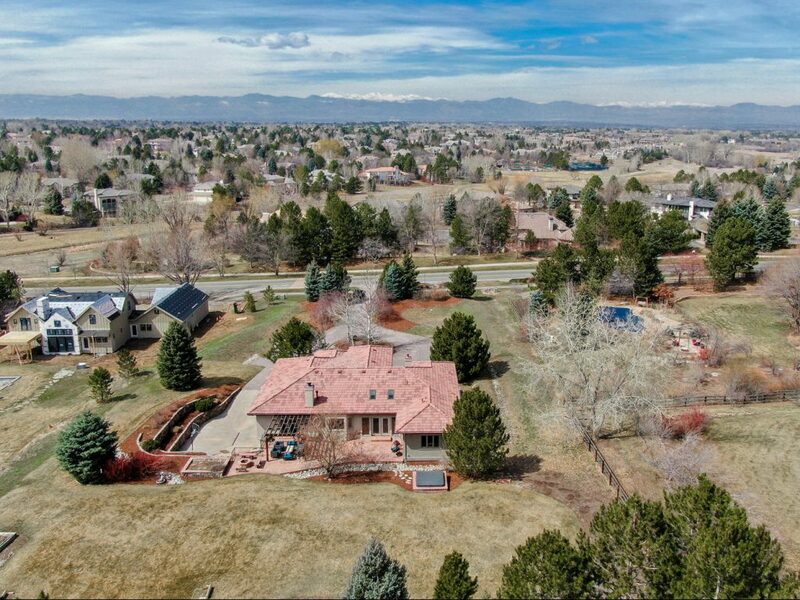 To list your home for sale with LIV SIR, visit www.livsothebysrealty.com or call 303.893.3200.
brokers, Heather Graham and Sean Endsley, for $2,200,000.